The fantasy shortstop position was kind of a mess in 2015, and Ian Desmond was right in the middle of the stink. Actually, that very could have been a function of the toxicity of the Nationals' dugout all season, but we can't blame it on that. Desmond is a strikeout machine, and when he did make contact in 2015, he found fewer holes in the field. Tory Tulowitzki managed to stay pretty healthy last season, although he honestly didn't seem to play very hard prior to his trade to Toronto. Hanley Ramirez, as predicted, fell victim to the injury bug, and his teammate, Xander Bogaerts had a great season as we told you he could if given the chance. There's more evidence for you to sift through below if you're trying to decide on a shortstop with some consistency going into your 2016 fantasy baseball draft. We're gonna give you a little, tiny taste of the "told ya so" treatment... we told you to draft Ian Desmond before Troy Tulowitzki last season, and we said it was only because you knew Tulowitzki would end up costing you a significant number of games due to injury, while Ian Desmond was less-likely to spend time on the DL. 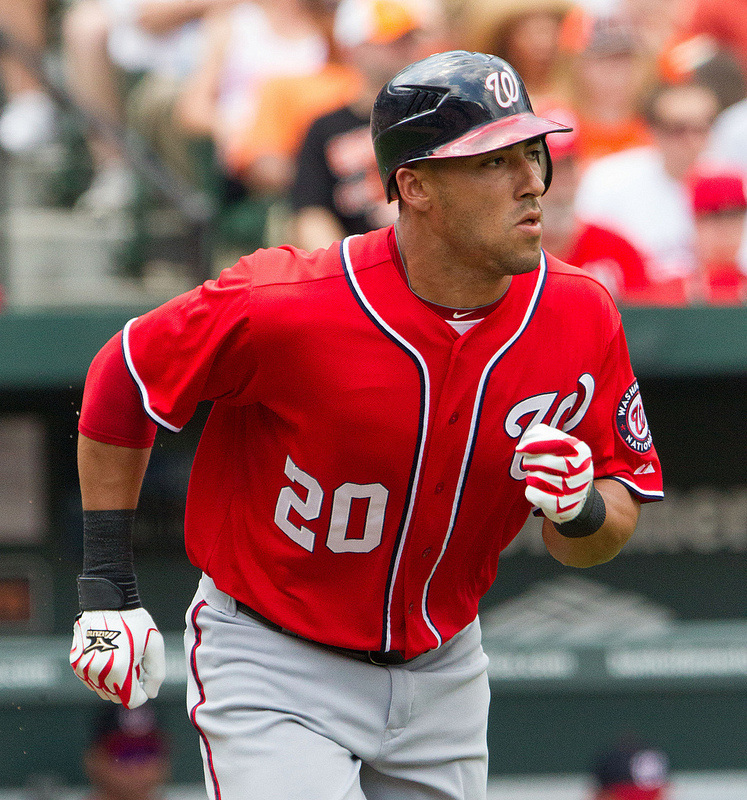 Ian Desmond's stats and reliability help him top our fantasy shortstop rankings again in 2015. We told ya so then, and we're tellin' ya so again in 2015. Draft Ian Desmond as your first choice at shortstop. Someone else in your league is bound to draft Troy Tulowitzki too high (or pay too much for him in an auction draft), so bide your time and wait a little longer for Ian Desmond. Until he proves otherwise, his reliability and offensive consistency makes him a no-brainer at shortstop again. Troy Tulowitzki had a great year again, but only while he was off the DL. 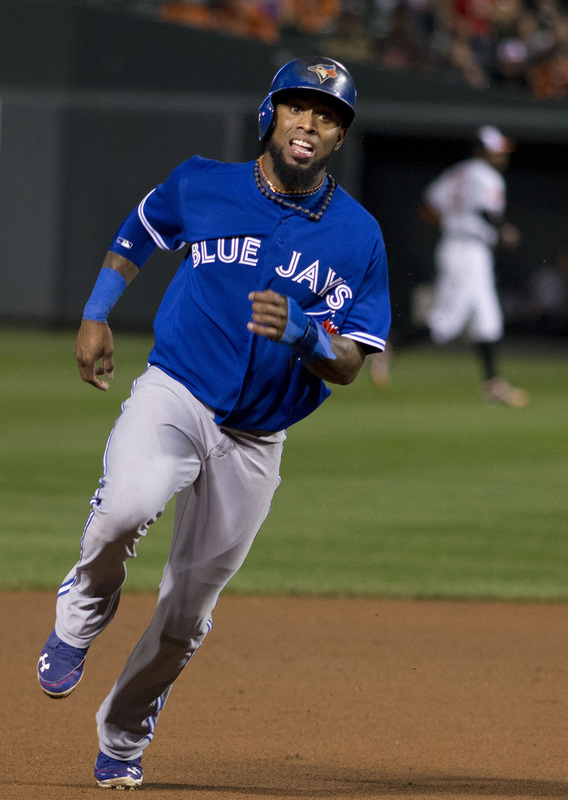 Blue Jays' shortstop, Jose Reyes, is in a great situation. He was already in a stacked lineup in Toronto, and now they've added Josh Donaldson to the mix. Jose Reyes gets overlooked by fantasy baseball nerds for some reason, but the dude is money. In 2015, you can expect Jose Reyes to score 100 Runs in that lineup... okay, at least 90. So long as he gets on base, he's going to score. Edwin Encarnacion and Jose Bautista are power-hitting, patient, RBI machines. Now, you add Josh Donaldson into that mix in place of the Brett Lawrie/non-injured-player-of-the-day merry go round that Reyes used to rely on and you can't go wrong. Keep in mind that, if you're getting your power stats from other positions, Reyes is the man. The only potential fantasy issue we see with Jose Reyes in 2015 is that he may steal fewer bases. With those guys hitting behind him, the Blue Jays don't want to screw things up by getting caught stealing. We still see Reyes stealing a minimum of 25 bases in 2015, so this isn't a significant issue. As long as Jose Reyes stays healthy, there's no reason he can't be a dominant fantasy shortstop again in 2015. He'll be 32 in June, so we're not worried about his age yet. Alexei Ramirez bounced back across the board for fantasy owners who got him pretty cheap in 2014. With the White Sox improved lineup, we see another big year for Alexei Ramirez. We can't wait any longer on this one: WTF happened to JJ Hardy last season?! Hardy averaged 21 home runs every year for seven seasons, then he hits 9 last year?! He hit .268 which is better than his career average of .261... so what gives? He still hit 28 doubles, so his power was still there, at least kind of... at least better than 9 home runs worth of power. I don't know, man. On one hand, he's still only 32, so he should be fine for another 3-4 years or so. 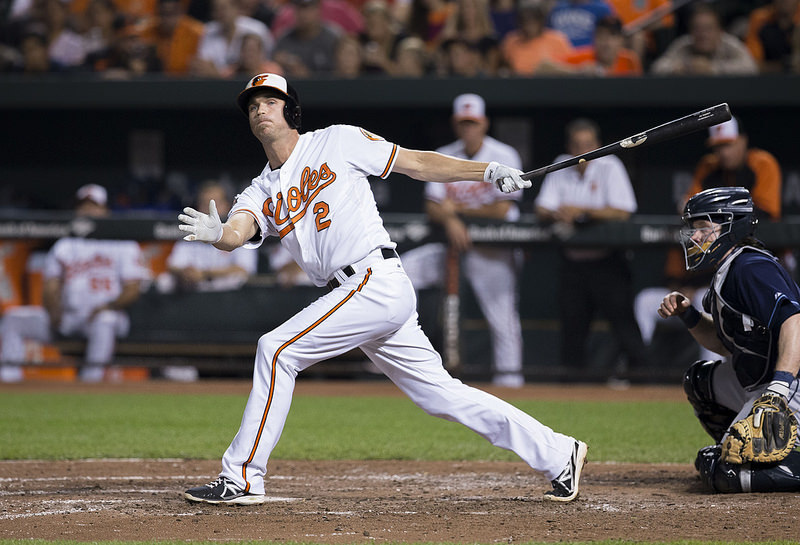 Alejandro De Aza is a good addition to the Orioles; Jonathan Schoop is a good power source; Manny Machado and Chris Davis are coming back healthy... with the presumed emergence of Steve Pearce, JJ Hardy could have a bounce-back season with 15+ HR... maybe. Part of it is because he's clearly the best shortstop in baseball when he's healthy. The other part is because he's more than due to have a healthy season, for cryin' out loud... isn't he? Troy Tulowitzki is only 30 years old. The irony of his situation is that, due to all his injuries every damned season, he has relatively low-mileage on him for a major league shortstop. Once he finds a way to stay healthy, he should have a monster year. 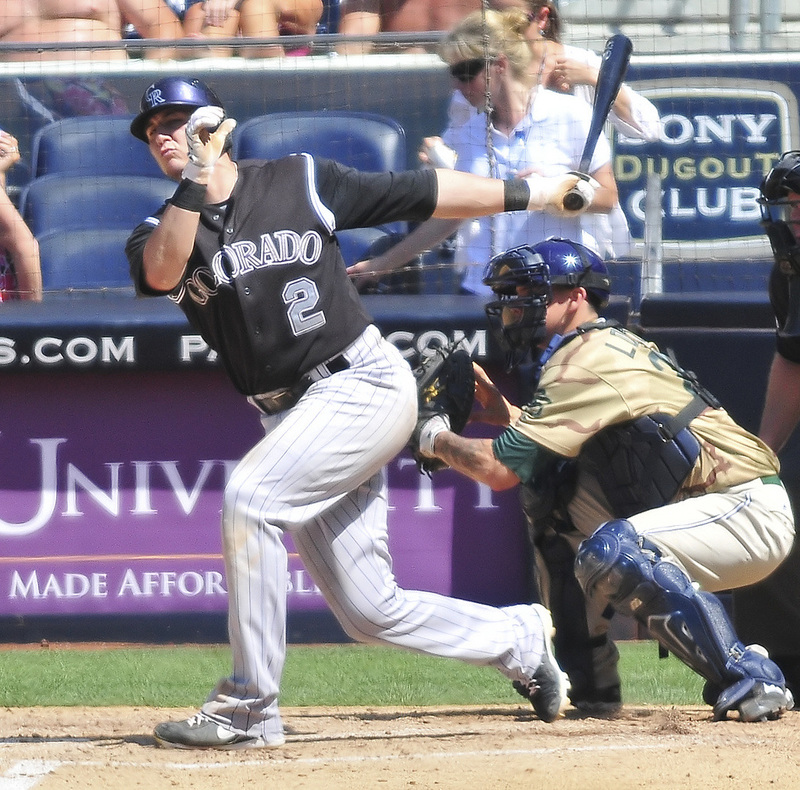 In 2014, Tulowitzki was hitting .340 before hitting the Disabled List again. Projecting his stats out to 600 at bats, he was on pace for 135 Runs, 40 Home Runs and 99 RBI. Would he have done that? Probably not. Nonetheless, we would expect a .310 average, 100 Runs, 100 RBI and 40 Home Runs is certainly not out of the question. In 2015, if you end up with Tulowitzki on your fantasy team, He'll carry you to victory by himself. If he's healthy at the end of the season, that's really all you'll need. In 2012, Ramirez only hit 9 HR, yet he drove in more RBI than the previous season when he hit 15 HR. He also stole 13 more bases. In 2013, he hit just 6 HR, but he scored more runs and suddenly stole 30 bases. In 2014, he finally hit 15 HR again, scored 82 runs, drove in 74 RBI and stole 21 bases at the age of 32. In other words, he finally put it all together. In 2015, the White Sox have added Melky Cabrera and Adam LaRoche to the lineup, so Ramirez, like Jose Reyes, is in an even better spot than he was last season. 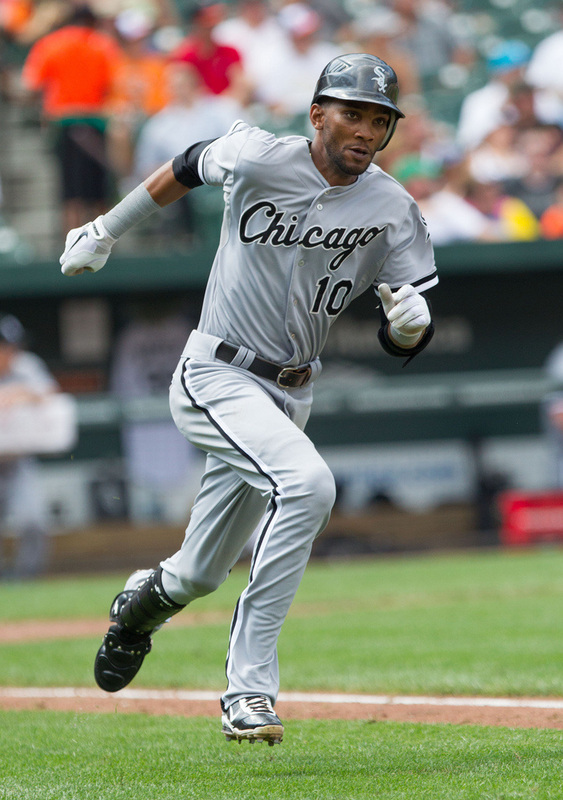 We fully expect 15 HR, 70 RBI and 20 SB out of Alexei Ramirez in 2015. JJ Hardy was a massive bust in 2014, but even with Nelson Cruz leaving town, the Orioles have a solid lineup with protection all around Hardy. He'll also be a draft-day bargain given his stats from 2014. Starlin Castro is still on the Cubs, everybody. Not that that's a shock, but for the first time in a long time, we're excited to see the Cubs' offense. Kris Bryant is exciting, Jorge Soler is exciting, and those two guys are kinda questionable. 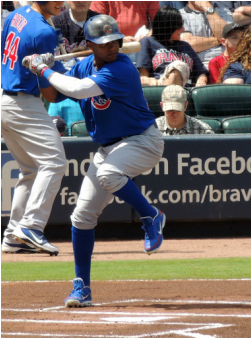 Starlin Castro was on pace for a 16 HR, 66 runs and 74 RBI while hitting .292 in the #2 slot for the Cubs last season. One year later, and we're expecting him to have a huge fantasy impact. The Cubs lineup is pretty-well loaded from top to bottom with Anthony Rizzo, Dexter Fowler, Miguel Montero, Javier Baez and a few other guys, so we anticipate that Starlin Castro will have a tremendous season in 2015. He's a career .284 hitter (even with his ultra-crappy 2013 performance of .245), and let's not forget he led the major leagues in 2011 with 207 hits when he was just 21. Still, don't expect him to steal more than 5-10 bases (if that), but do expect 15-20 HR, 70 RBI and 85-100 runs scored in Chicago. So long as Starlin Castro stays healthy, he's the kind of guy who fills up the box score somehow in every game. Starlin Castro rebounded to have a good season in 2014, and we expect even better numbers in 2015 given the Cub's improved lineup. Is Danny Santana the real deal? We think so, but don't expect much more in the home run department from Danny Santana in 2015. Throughout his years in the minors, he wasn't a power hitter by any stretch of the imagination. He hit 8 HR in 121 games in A ball in 2012, then hit just 2 HR in AA ball in 2013. Somehow, he managed to hit 7 HR for the Twins last season in just 101 games. How? Not sure. Can he do it again? Sure.If he hits 10 HR, consider yourself lucky. Aside from the power hitting, or lack thereof, his 20 stolen bases to just 4 caught stealing is a great sign for a 23-year old (now 24). Also, despite only hitting 7 HR, he still ranked second among all qualifying shortstops with a .472 slugging percentage, thanks to his 27 doubles and 7 triples. Keep in mind he also found a way to hit .319 and we don't see any way he's going to do that in 2015. He was a career .275 in the minors, so we'd expect his average to dip to about that level this season, too. Nevertheless, when he hits, he hits for extra bases. And if he doesn't get an extra-base hit, he can steal bases to get into scoring position. Draft Danny Santana with confidence, but not with over-confidence. What the hell happened to Jean Segura in 2014, and can he rebound in 2015? First, let's cool our jets on Jean Segura. Believe it or not, there are some positive notes we can take from his fantasy stats in 2014. First of all, he's only going to be 25 this season. Secondly, he played in 146 games in 2013 as well as 2014, however... he ended up with 75 fewer at bats last season as compared to 2013, yet he only went down by 66 plate appearances? What does this tell us? Without getting too speculative on his fantasy stats year-over-year, especially since we only have 2 seasons to compare, most likely, he put more balls in play last season on average, but they just didn't find any holes. Hey - it happens. His average dropped from .294 to .246; his stolen bases dropped from 44 to 20 and his HR from 12 to 5. Expect something in the middle for Segura in 2015, but something closer to 2013 than last season. We see a .280 season with 10 HR, 30 SB and 150 games played. If Hanley Ramirez stays healthy while playing left field, he could have a great 2015 fantasy season compared to the last two years. 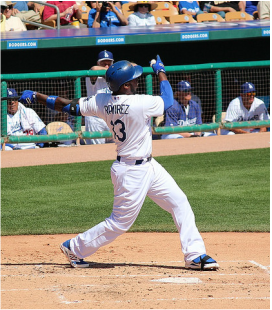 Is Hanley Ramirez's move to the outfield a good thing for fantasy owners? It can't hurt... "hurt" being the operative word that makes fantasy owners sick every almost every season with Hanley Ramirez. He has injured both shoulders, and he's done it both hitting and fielding, so the jury is still out as to whether the move to left field is going to help him stay healthier in 2015. While he shouldn't see as much action in left field as he would at shortstop, he's still going to see plenty of shoulder action with the green monster behind him. We're more concerned with the batting order around him, and that's where his stats should see a boost. We don't see him stealing a lot of bases, but we see a 20+ HR, 90+ RBI season for Hanley if he stays healthy. And Boston can't afford any injuries with the injury-prone lineup they have. Speaking of the Red Sox, everyone wants to know what to expect out of Xander Bogaerts in terms of fantasy production in 2015. While no crystal ball is 100% accurate, we're confident he can put up impressive numbers with the lineup around him in Boston. Xander Bogaerts is only freakin' 22 years old, man, so there's no way the Red Sox are going to trust him with the top half of the lineup, at least not for the first 2-3 months of the season. After that, though, someone's bound to get hurt, and they may just have to put him in the 1, 2 or 3 spot in the order. If he gets there, you can plan on some absurd stats. 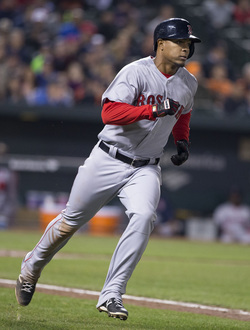 Until then, he's a .270, 15 HR, 60 RBI guy... but as soon as you get the news that Hanley Ramirez, Shane Victorino, Dustin Pedroia, David Ortiz or Pablo Sandoval get hurt (or any combination thereof), get ready to see Xander Bogaerts climb to the top third of the order. Not only will this help his stats, it'll also help him mature rapidly to make him a top shortstop pick in 2016 (a note to all you keeper-league guys). Xander Bogaerts is only 22, still. If (when) the injury bug hits the Red Sox lineup, he may benefit more than anyone by shifting to the top 3 in the order. Brandon Crawford is a "Crap! I forgot to draft a shortstop" fantasy pick. Nonetheless, while Brandon Crawford isn't great, he's clutch and makes the best of his opportunities. It's like he'll only get a hit if there's someone in scoring position with the game on the line. Other than that, he'll go 0 for 4 with a strikeout or two. His 69 RBI were 5th among shortstops, and his 10 HR were just good enough to get him on a desperate fantasy owner's roster last season. Jimmy Rollins may see a bit of an uptick in fantasy stats and consistency to go along with his excitement of playing in Los Angeles. We don't expect him to go crazy on offense (especially in a pitchers' park), but we expect a consistent, productive fantasy season. Maybe even a slightly-better bating average. Don't forget: he was with the Phillies when they won it all and he's also a former MVP. His personal expectations are very healthy for a lack-lustre Dodgers' dugout, so keep an eye on him to play slightly better than you might expect from an aging shortstop in the twilight of his career. We'll make it quick with Jhonny Peralta. First of all, the dude can't even spell his own name right. Second of all, we're kinda waiting for him to get busted for PEDs again. We're still not buying that his power is "au natural." Not to throw accusations around, of course. Nonetheless, he's a solid fantasy pick, suspicions aside. He turns 33 this season and he's in the mddle of a great lineup in St. Louis. He's a career .267 hitter, which is good enough for 15 HR, 75 RBI and a late-ish round pick in your fatasy draft in 2015. Alcides Escobar is the epitome of a fantasy shortstop who "won't kill ya." He's good enough to get drafted, but he's not good enough to make a significant impact on your team... unless... if the Royals build on their success in 2015 and it remains contagious, Escobar could have a 90+ run season, and he may even bat as well as he did last year (.285). We don't think he'll do any better than that, but he could equal it. 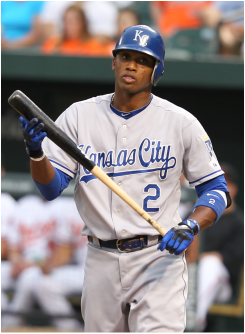 Also, he managed to steal 31 bases in 2014, and with the Kansas City Royals' new-found speed on the basepaths, Alcides Escobar could very easily eclipse 30 stolen bases again, and he may even set a career best this year. Again... that's if the Royals continue their winning ways. Expect Escobar to hit .270 with 50 RBI and 80-85 runs scored and 30 stolen bases. Anything above that is gravy, but also not impossible. Alcides Escobar is a decent late-round option if you need stolen bases and runs.